Matt Vieira / The Collegian Fresno State Jazz Ensemble performs in front of an audience on campus. 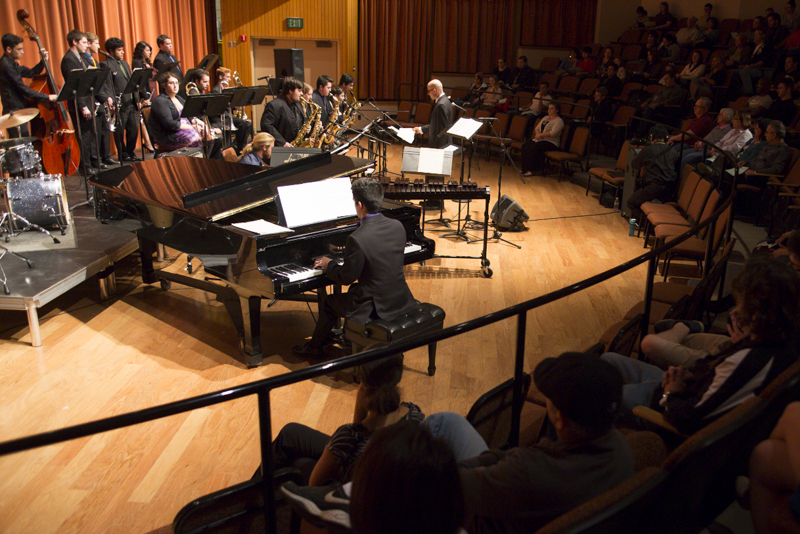 Fresno State Jazz Ensemble performs in front of an audience on campus. Fresno State jazz musicians were given an intimate experience to play alongside professional saxophonist Mike DiRubbo on Thursday night in the Concert Hall. 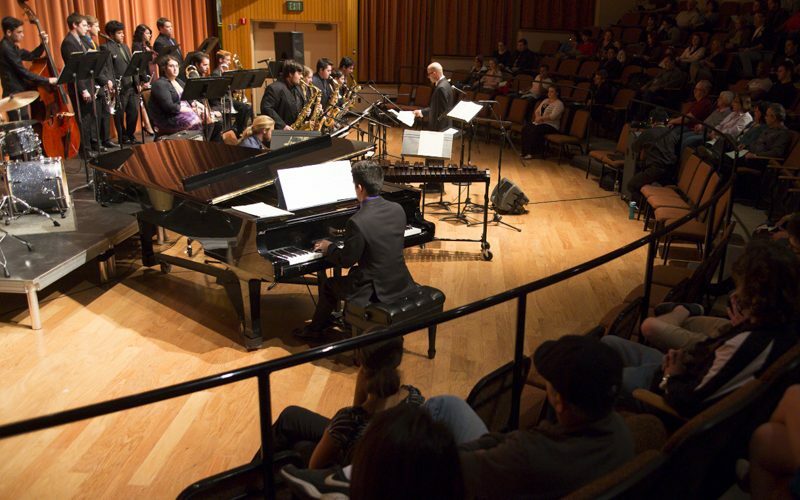 DiRubbo, a freelancing recording artist and composer from New York, performed as the guest artist alongside the Fresno State Jazz Orchestra and Jazz Ensemble. The Jazz Ensemble opened the concert performing four songs before the Jazz Orchestra and DiRubbo himself took to the stage. After performing a solo with the orchestra, DiRubbo quickly proved his expertise to the audience made up of students and jazz-enthusiasts. Dr. Alan Durst, the concert’s director, said bringing in seasoned professionals for students to work with is an “invigorating” experience for them in their early careers. Durst said because freelancers are hard to find in California, flying in a musician from a different area is eye opening for students to learn about other jazz artists and their artistry. By providing students with this hands-on experience, DiRubbo aims to achieve when he collaborates with young musicians. “I just try to give them a taste of the real world,” DiRubbo said. DiRubbo worked with the great Jackie McLean before his death, who in turn worked with legends like Charlie Parker, Miles Davis, Charles Mingus and Thelonious Monk. Durst said he picked DiRubbo because of his specialization in the jazz style of bebop, a post-swing genre with faster tempo and improvising solos. Phil Benotti, a trombonist on the Jazz Orchestra, said meeting, talking and playing with such musicians is a great way to develop as a musician. “He really just talked about the experience, how to extend your vocabulary in jazz, essentially by listening to people in the past and listening to different genres and musicians,” Benotti said. 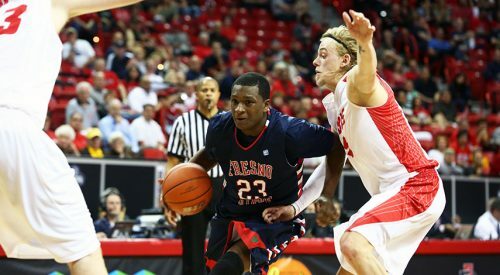 Now a junior, Benotti said DiRubbo was the third professional he’s worked with while at Fresno State playing jazz, including the Grammy award-winning John Clayton. “I just think it’s such a great thing,” Benotti said.